Suddenly I feel the seasons may have changed. I feel uplifted. Recharged. It’s not like it never happened before. It will happen all over the Northern Hemisphere in the coming weeks. 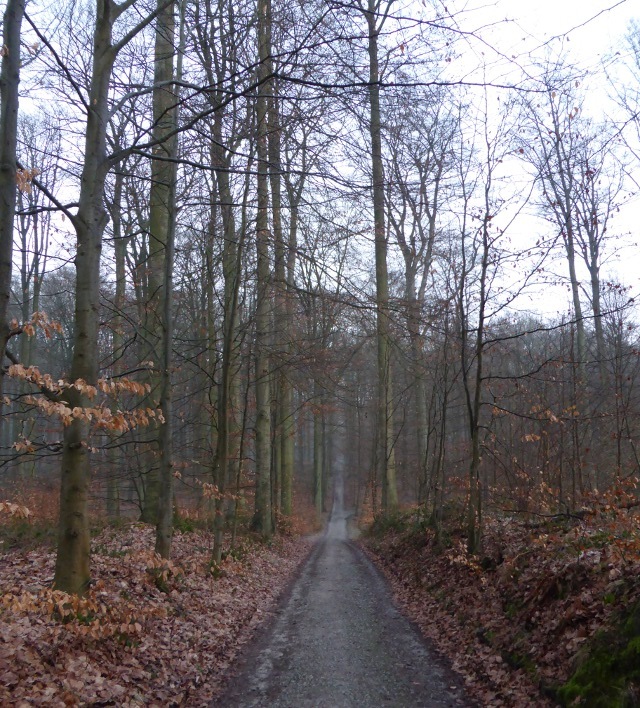 But I am having my relationship with the countryside refreshed, personally and privately, deep in the Belgian woods. I “cycle to work” every day. That can either be a ten minute ride to the local station or what we really call the “ride to work”, 25km across the rolling valleys that criss-cross the countryside to the south of Brussels, of which at least 45 minutes is spent on peaceful forest tracks through the Forêt de Soignes/ Zoniënwoud before the bustle of the Brussels rush hour. This year I am trying very hard to get a bit fitter over the winter (for reasons which will become clear in a few weeks) which has meant I have ridden the longer distance many more times than usual. It has been a long, hard winter in the woods. The dark forced me to stick to one simple route where I know every bump and hollow but I still feel like I have been squinting into the dark trying to avoid holes and fallen branches forever, it has been hard to relax and roll. Two weeks ago I went off to Munich for several days which was an even colder experience, but enjoyable none the less. When I came back to Belgium it was like a switch had been turned. It was only a week away but things had changed. Suddenly and unexpectedly the light had just crept though the magical time shift where the whole of my forest ride was in daylight. Maybe only a soft dawn light as I enter the woods but enough to see without the lights, to relax and pedal without nasty surprises in the dark. 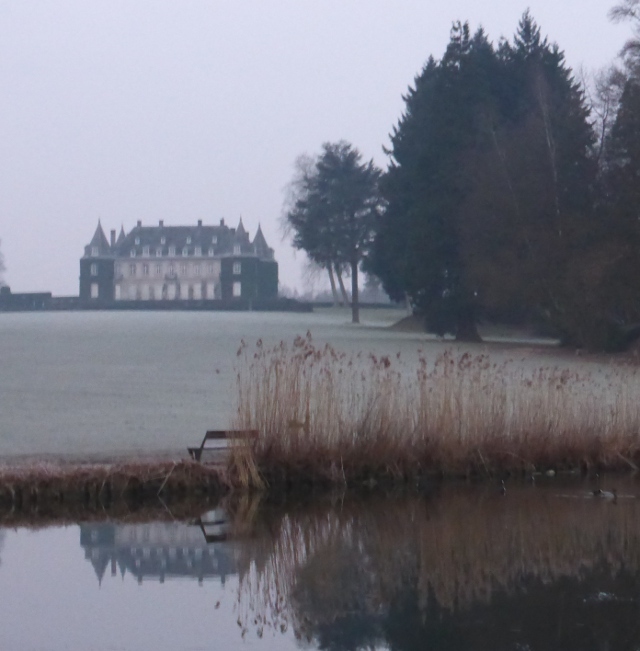 Secondly we had a week where the morning temperatures rose quickly above freezing. They may have dropped again this week, but that one week was enough. No green shoots have come through the carpet of golden beech leaves left from the autumn, but nature got the message. From the sombre silence of winter the birds have just burst in to life. Over the winter my only accompaniment has been the owls. The area is alive with what we call tawny owls in English, the source of the classic owl sound as the males “tu-whit” and the females “tu-whoo” in reply, a seamless exchange that comes across as a single call. Now it is the turn of the day birds to rediscover their energy. Blackbirds, robins and all the woodland birds are bursting with song, a true dawn chorus. 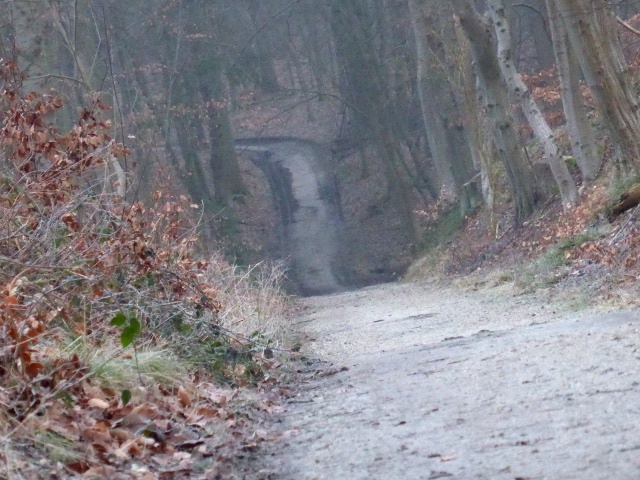 Every valley seems to have a woodpecker hammering energetically at the mighty beech trees that line the paths. The owls have been replaced by the top predator of the daylight as buzzards can be heard mewing as they circle above the tree tops. The absolute beauty of it is that the days have been still, cold and crisp. Despite the fact that I cannot see them I can hear every note, every peck. As if in response to their enthusiasm I feel uplifted myself. The ride has been transformed from a trudge to a pleasure. Instead of wanting to get it over and done with I find myself adding 10, 20 even 30 minutes to my route by adding extra loops deep into the woods. Alone, except for the birds and the deer. Because the deer will be my other constant companions for the coming months. 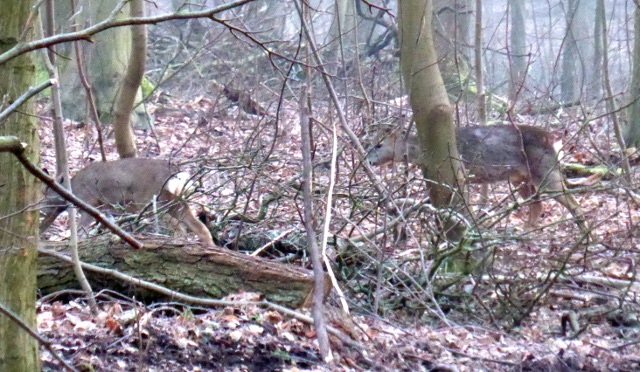 While I ride around dawn they are bold and foraging close to the paths. I know they have been there too in the dark as I occasionally hear them bouncing away over the dry rustling leaves, but I never see them. Nobody else comes this way at this time so they have not been scared away from the paths and the silent approach of the bike doesn’t seem to alert them until I am quite close. 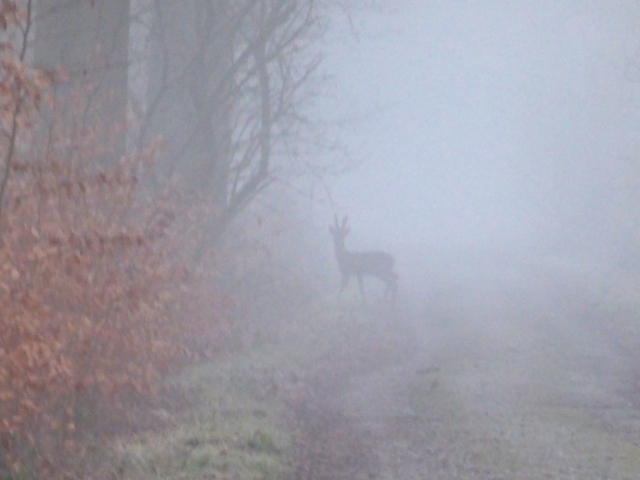 So now in the mists of dawn we carefully watch each other from a comfortable distance. The first weeks of a new season and I am bursting with life too. The transformational impact of a simple bike ride. Like the birds and animals I know it’s going to be a great spring, because I can feel it.